RAMPART finished the recording process of their upcoming new album „WWII: Memories for the Future”. The main topic line of all its lyrics is concept and features less known historical facts about the World War II. The album features 11 tracks. In „WWII: Memories for the Future” the timeless classic heavy metal meets thrash! 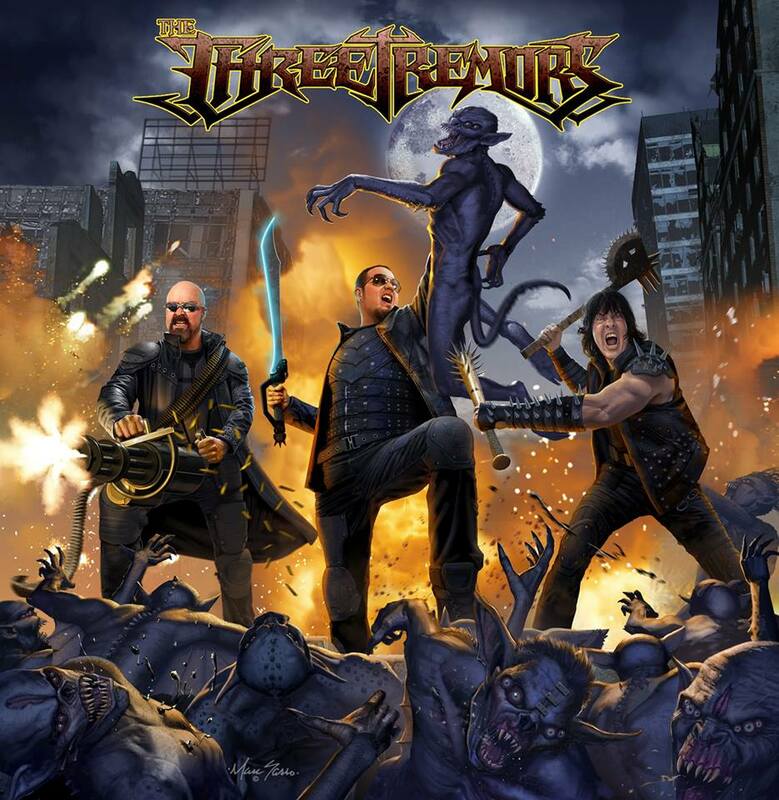 We will have the pleasure to support THE THREE TREMORS - Tim "The Ripper" Owens (ex-JUDAS PRIEST, ex-ICED EARTH, ex- YNGWIE J. MALMSTEEN, DIO DISCIPLES), Harry "The Tyrant" Conklin (JAG PANZER, SATAN'S HOST, TITAN FORCE, ex-RIOT V) and Sean "The Hell Destroyer" Peck (CAGE, DEATH DEALER, DENNER/SHERMANN, WARRIOR) on October 1st at Club Live & Loud! It will be the real Metal evening at Sofia! Metal On! We confirmed our participation in the summer festival Ostrava v Plamenech (Czech Republic) on 3-4 August, 2018! 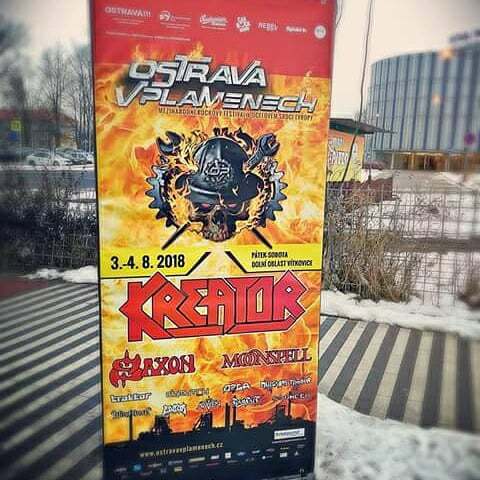 KREATOR and SAXON are amongst the legendary names on the stage of Ostrava next year! We're thrilled to announce our first dates for the upcoming year, supporting the Canadian metal veterans: ANVIL! We are hitting the road in February proud to be a part of the ANVIL’s new metal adventure “40 years of Pounding the Pavement 2018”. HOLLAND, we promise heavy metal magic at Leiden, Venlo, Hengelo and Tilburg! We hope to see many of you... Metal On! RAMPART will be a part of the biggest metal festival in the world - Wacken Open Air! The band will present a special post-apocalyptic show on 3rd August, at 04:30 p.m., at Wasteland Stage. Thanks to the great support of Wacken Foundation RAMPART will finish their „United Opus of Apocalypse and Staging Tour” at Wacken. A book entitled „Apocalypse over Europe” about the tour adventures with funny and strange stories will be published. It will contain a bonus CD insert „Live in London”. 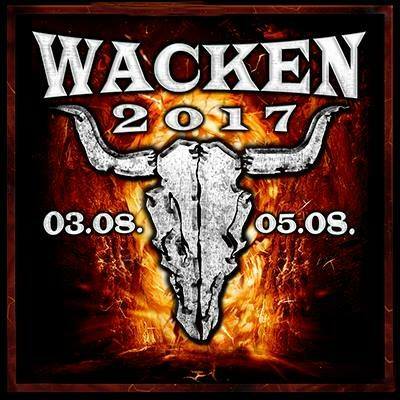 Wacken Open Air 2017 will take place in Wacken, Germany on August 3-5, 2017. AMON AMARTH, ANNIHILATOR, APOCALYPTICA, AVANTASIA, BRUJERIA, CANDLEMASS, EMPEROR, EUROPE, FATES WARNING, FLOTSAM AND JETSAM, GRAVE DIGGER, KREATOR, MAYHEM, MEGADETH, MORBID ANGEL, NAPALM DEATH, PARADISE LOST, PRIMAL FEAR, PSYCHOTIC WALTZ, RAGE, SACRED REICH, SANCTUARY, SONATA ARCTICA, TANKARD, VOLBEAT are among the over 150 bands that will perform at Wacken 2017. See you at Wacken! Rain or Shine! We will have the pleasure to support the legendary guitar player Ross The Boss on May 28th at Club Live & Loud, Sofia! You can expect a real blast! 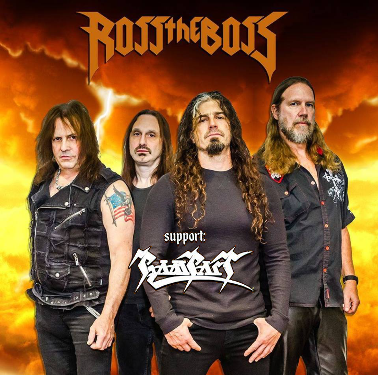 Ross The Boss is one of the Kings of Metal and played at MANOWAR from 1980 to 1989. The first six albums of the band were recorded with him: "Battle Hymns" (1982), "Into Glory Ride" (1983), "Hail To England" (1984), "Sign Of The Hammer" (1987), "Fighting The World" (1987) and "Kings Of Metal "(1988). All of them are emblematic releases, classics of which the legendary guitar player will perform live with his band. For the live shows Ross The Boss has invited no casual musicians. Rhino, who played with Manowar in 1991-1994 and 2008-2009 on drums; the metal veteran Mike LePond from Symphony X on bass; and the talented vocalist Marc Lopes behind the microphone. The show at Sofia will include more than ten MANOWAR covers, including „Battle Hymn“, „Hail And Kill“, „Kill With Power”, „Sign Of The Hammer” performed with precision and old-school heavy load. 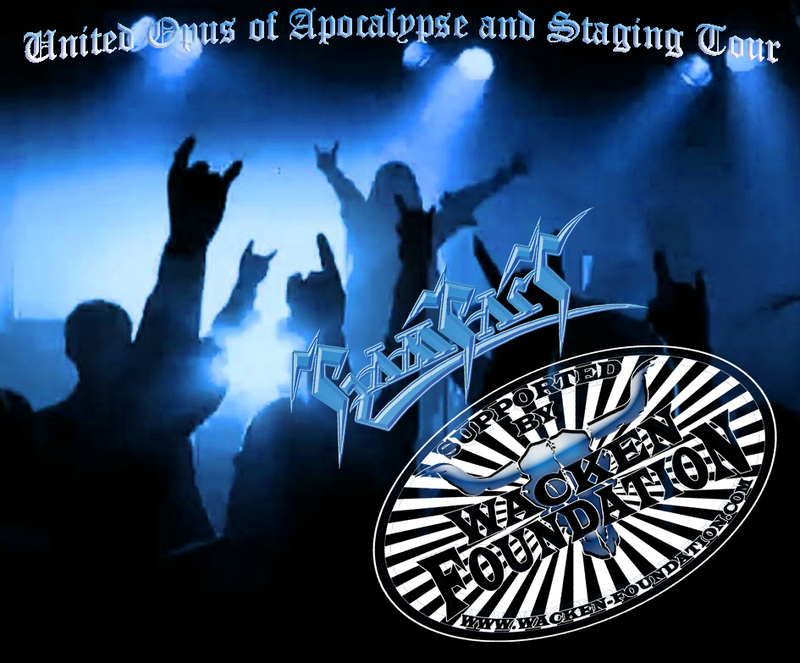 We would like to thank Wacken Foundation for their exceptional support to our 'United Opus of Apocalypse and Staging Tour’. You can find photos from our gigs in Serbia, Bulgaria, Turkey, Belgium, Italy, Greece, Romania, Denmark and Sweden HERE !!! 19.08.2016 - CrossBorder Festival Open Air (Nis) - Serbia. Wait for us in your city and stay loyal to metal!!! The new album "Codex Metalum" was released on 8 April, 2016 by the German label IRON SHIELD RECORDS. It is promoted and distributed by PURE STEEL RECORDS. The album was mastered by Arne Lakenmacher (Gamma Ray, Doro, Stormwarrior) at High Gain Studios (Hamburg, Germany). 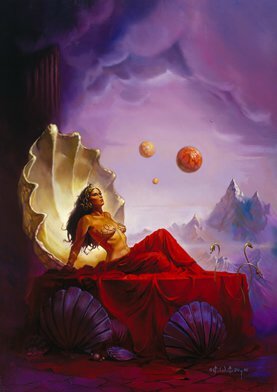 The artwork is made by the Bulgarian artist Stefan Valkanov. The idea of "Codex Metalum" is that the metal attitude comes from the ancient times and it could be represented by venerable symbols as the knights' codex of honour. Here you can find some reviews. A new video that presents the short radio version of the song "The Metal Code" can be watched here! The production of the video is work of Nasko Di Stefano. In the clip are used concert shots from the band’s participation in the French Rising Fest II at Dijon, and from a concert that marks the 25 anniversary of one of the oldest Bulgarian bands EPIZOD – especially for this gig RAMPART hired Totio Firepoi to make a fire show. In the video are used shots filmed by the French Phoenix Rising Association and from the Bulgarian National Television. RAMPART had the chance to be a part of Udo DIRKSCHNEIDER's "Back to the Roots" tour with special guests ANVIL !!! 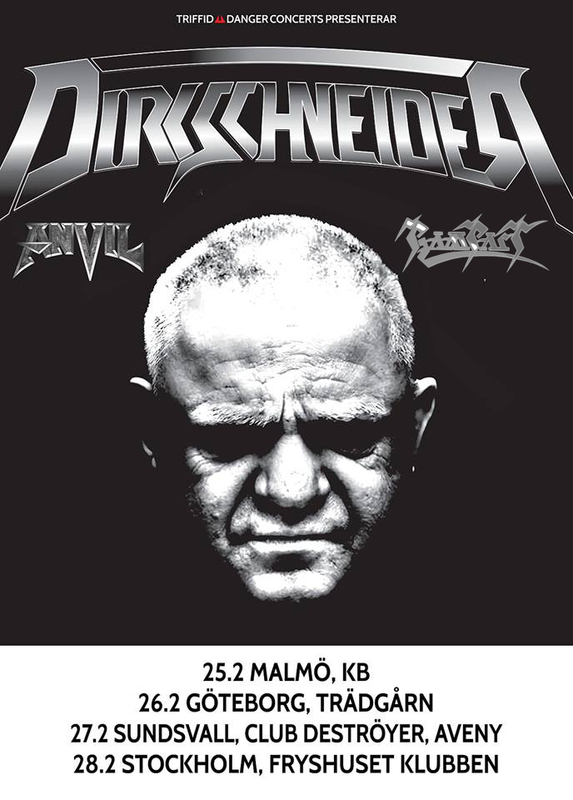 DIRKSCHNEIDER‘s "Back to the Roots" tour indeed is a very special for metal event. It’s the last time you hear from Udo the legendary hits of the early ACCEPT! After this tour, the living God Dirkschneider will never ever sing these songs! For RAMPART this was a real metal adventure happening for more than 2000 km from home. The band would like to thank the fantastic Dutch and Swedish public for their great support! 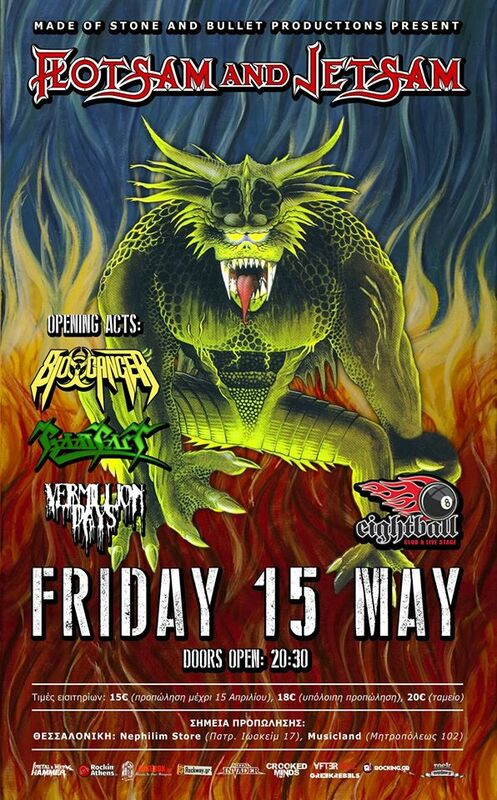 On 15th May, 2015 RAMPART had the pleasure to support FLOTSAM AND JETSAM (USA) at EightBall, Thessaloniki, Greece. The other opening acts were the Greek bands BIO-CANCER and VERMILLION DAYS. You can watch a live video from our play set filmed by Industry Kills. These are the songs “Apocalypse or Theater” and “Ghost of Freedom”. 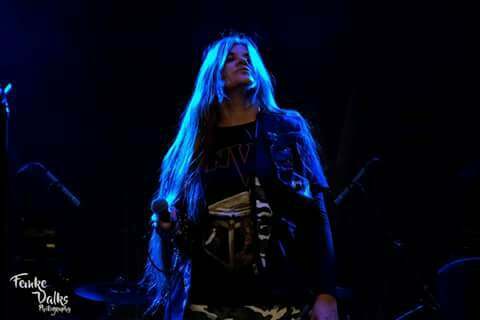 Here is a live report from the event by the Greek metal webzine METAL INVADER. The Wagnerian opera metal project LYRAKA has announced the recruitment of RAMPART singer Maria Diese for Lyraka Volume 2. The composer-guitarist Andy DiGelsomina comments: "Maria Diese is a fascinating contralto with an immense amount of talent and skill. She is a perfect addition to our operatic metal world, and we are more than confident she will be sensational portraying her character." The author of the concept libretto of the project and producer is Jasmine Lyraka Aliara. Co-producers: Andy DiGelsomina and Andre Maquera. All music compositions, guitar leads, orchestrations, and arrangements by Mr. DiGelsomina. Mark Boals (Yngwie Malmsteen, Uli Jon Roth, ROYAL HUNT), Graham Bonnet (RAINBOW, ANTHEM, ALCATRAZZ), Al Atkins (JUDAS PRIEST), Tiina Teal (DETENTE), Lizz Vandall (SAHARA, Uli Jon Roth), Maria Diese (RAMPART), Veronica Freeman (BENEDICTUM), Robert Lowe (CANDLEMASS, DISCIPLE OF DOOM), Rob Diaz (VASTATOR), Kevin Talley (SUFFOCATION, DYING FETUS, SIX FEET UNDER, CHIMAIRA), Andre Maquera, Thom Carvey, Gary Spaulding, and more participate in the project. This project musically was inspired by the rock and metal operas of Richard Wagner, The Who, and King Diamond; die Macht und Weltanschauung of Manowar; the serial compositions of Arnold Schoenberg; the blasting brilliance and historically-themed songs of Nile; the music of Rainbow from 1975 to 1979; and the concept albums of Uli Jon Roth. Philosophical inspirations: Friedrich Nietzsche's "Beyond Good and Evil", Søren Kierkegaard's "Sickness Unto Death", Fyodor Dostoevsky's "The Idiot", Bryan Magee's books "The Philosophy of Schopenhauer" and "The Tristan Chord", C.G. Jung's "Psychology and Religion", and Richard Wagner's musico-literary dramas "Parsifal" and "Tristan und Isolde". Lyraka Volume 2 is scheduled for release in 2016. The Voice of RAMPART Maria Diese is added to Vivaldi Metal Project that presents the classic masterpiece “The Four Seasons” by Antonio Vivaldi in a METAL version. The invitation of our vocalist to participate in this amazing ALL-METAL-STARS project is a great honour for us! The maestro behind the project is the Italian composer and keyboardist Mistheria (Bruce Dickinson, Rob Rock, Roy Z, Mark Boals, etc.). The project is co-produced by the bassist Alberto Rigoni. 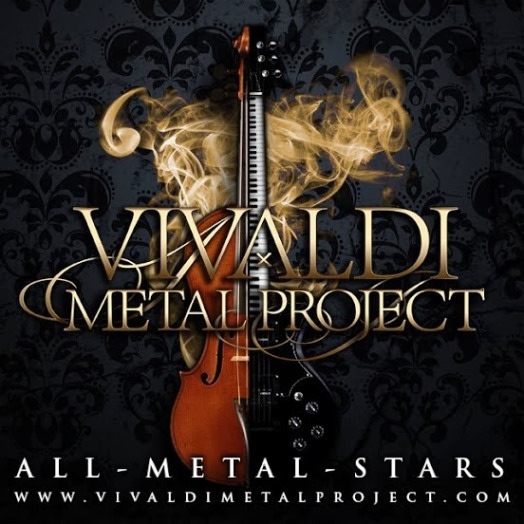 In Vivaldi Metal Project are participating top class musicians like Rick Wakeman (YES), Barry Sparks (Yngwie Malmsteen, MSG, UFO, DOKKEN), Vitalij Kuprij (ARTENSION, RING OF FIRE, TRANS-SIBERIAN ORCHESTRA), Roger Staffelbach (ARTENSION, ARTLANTICA), Andreas Passmark (ROYAL HUNT), Lars Lehmann (Uli Jon Roth, Vinnie Moore), Tom Asvold (POLARIZATION, PAINCRAZE, DIMENSION34), Goran Nystrom (TWINSPIRITS, SILENT CALL), Stefano Stex Sbrignadello, Mark Boals (Yngwie Malmsteen), Mike Lepond (SYMPHONY X), Rob Rock (IMPELLITTERI), Chris Adler (LAMB OF GOD), Tommy Denander (TOTO, Michael Jackson, Alice Cooper), Joe Stump (REIGN OF TERROR, RAVEN LORD), John Macaluso (ARK, LABRIE, Yngwie Malmsteen), and Andy Midgley (POWER QUEST). 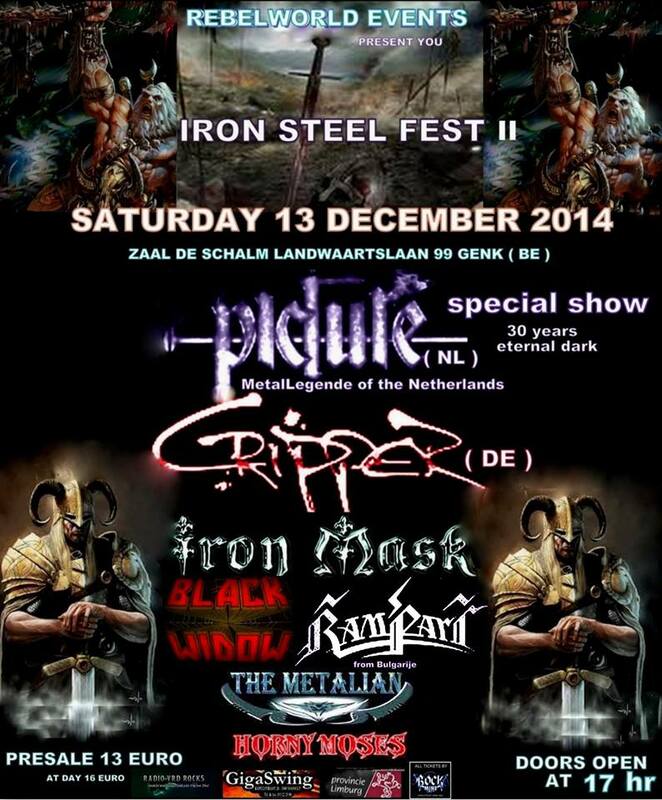 On 13th December, 2014 we will participate in IRON STEEL Fest in Genk, Belgium!!! We will have the pleasure to share the stage with the metal legends of Netherlands PICTURE, CRIPPER, IRON MASK, BLACK WIDOW, THE METALIAN, and HORNY MOSES. Tickets presale 13 €, at day - 16 €. Do not miss the show! Stay Metal !!! 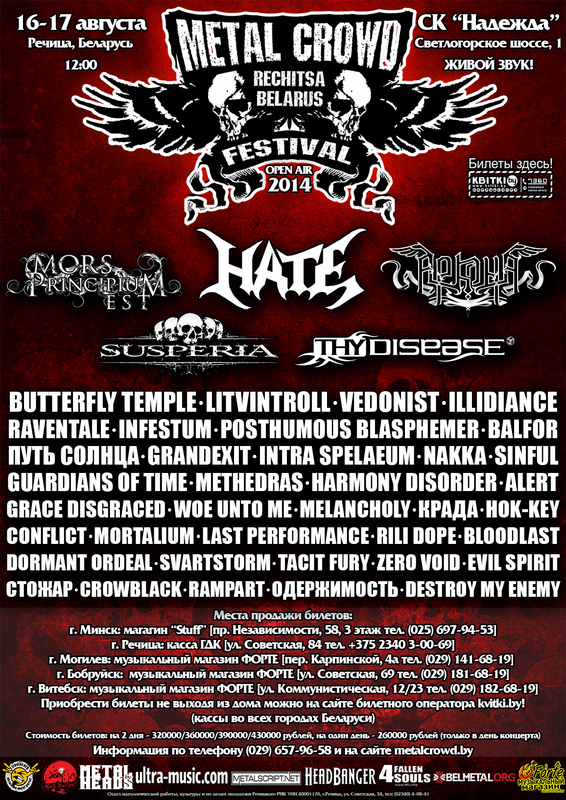 ОДЕРЖИМОСТЬ, TACIT FURY, ALERT, EVIL SPIRIT, СТОЖАР, CROWBLACK, DESTROY MY ENEMY. 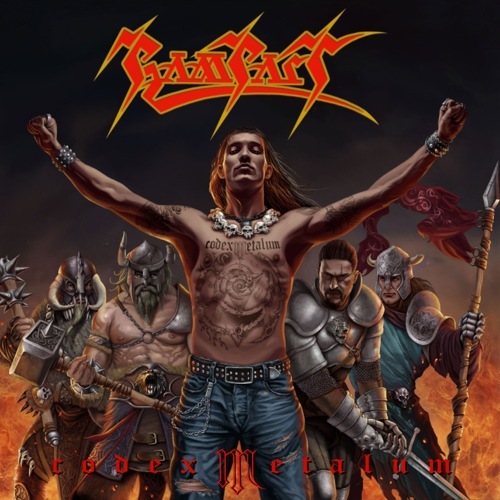 Order The New Album Of RAMPART "Завера"
RAMPART released their new album "Завера"/"Plot" that is entirely with Bulgarian lyrics via Metal Industries. This title in Bulgarian language means a secret union in the name of our faith. It includes songs in their original version and songs with re-recorded bass parties that are entirely re-mixed and re-mastered, and brand new songs. 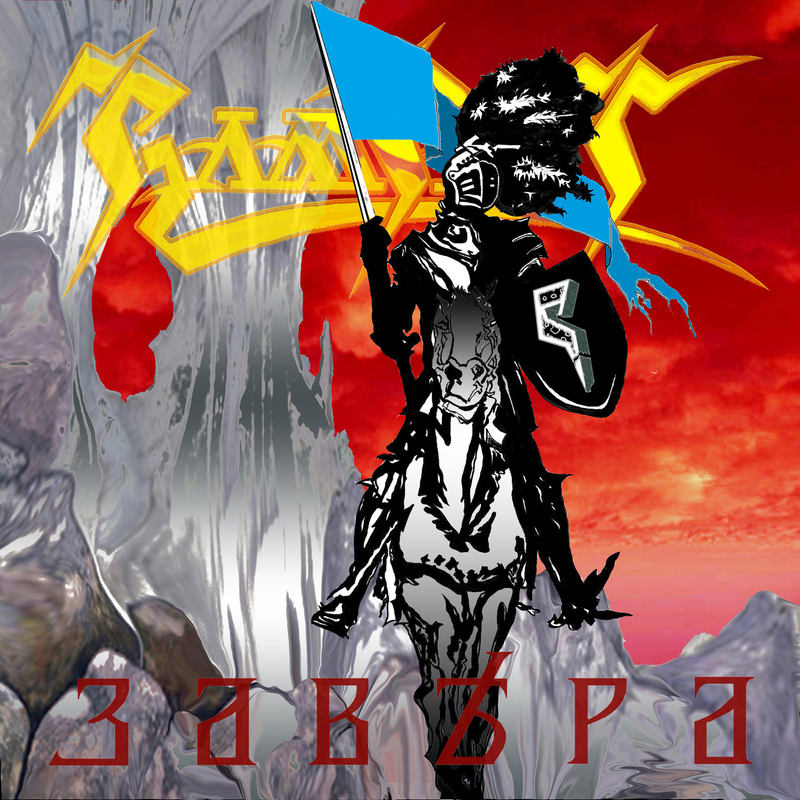 The album contains a cover song of a classical Bulgarian metal song from 1989, which author Liubomir Malkovski had performed with the bands ERA and ER MALAK. 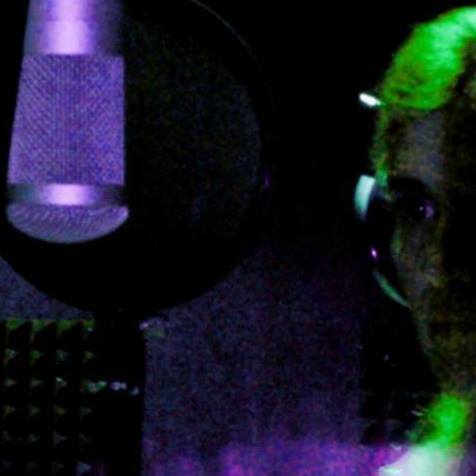 In research of her musical and esthetical roots the vocalist Maria Diese created the artwork of the ‘Bulgarian’ album of RAMPART. The release date of the album is 22th December. You can order th CD at (rampart_metal@abv.bg) or from Inferno Records (inferno-records@hotmail.fr). We wish all of you wonderful X-Mas and a magic New Year!!! Efcharisto to all the Hellenic Metal maniacs who attended the Warm Up Show and ROCK YOU TO HELL festival at Athens and made our time in Greece so fine! We hope to be back one day!!! Stay METAL!!! Thanks to all the bands HEART ATTACK (GR), RUTHLESS STEEL (GR), WOTAN (IT), ERASE (GR), ANGELMORA (GR), CLAIRVOYANT (GR), SPARTAN WАRRIOR (UK), BLIND JUSTICE (GR), HOLOCAUST (UK) and MEDIEVAL STEEL (US)for the great music!!! Here in THE OTHER SIDE webzine you may find a report from this great metal feast!!! Voice Of The Wilderness CD Is Sold Out! The French label Inferno Records announced that the RAMPART's debut album 'Voice Of The Wilderness' is completely sold out. The CD has a very good feedback from the European metal media. All the reviews so far has been remarkable, and 'Voice Of The Wilderness' has received an amazing average score of around 80% from the last 100 reviews! 'Voice Of The Wilderness' CD and 'War Behest' CD have taken us around Europe, placed us at killer festivals like Taunus Metal Open Air (Germany)and Rising Fest II (France), and given us a chance to share the stage with bands like WITCHBURNER, GODSLAVE, LONEWOLF, METAL WITCH and WIZARD. 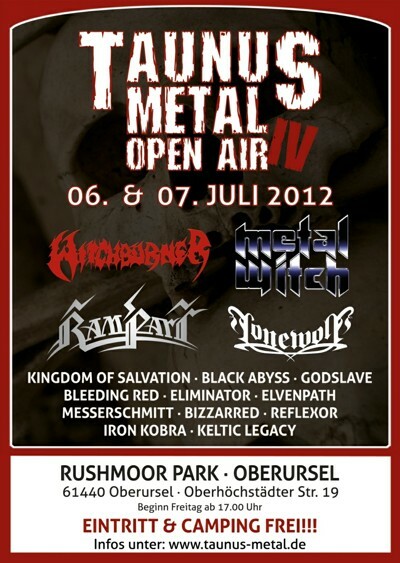 RAMPART took part in Taunus Metal Open Air (Germany). The band had the pleasure to share the stage with WITCHBURNER, KINGDOM OF SALVATION, GODSLAVE, ELIMINATOR, MESSERSCHMITT, REFLEXOR, METAL WITCH, BLACK ABYSS, LONEWOLF, BLEEDING RED, IRON KOBRA, ELVENPATH and BIZZARRED. Power of Metal Webzine (Denmark) published live report. RAMPART would like to thank the organizers, LONEWOLF, ELVENPATH, and all the metalheads for their support !! !